Is this not the most delightful picture in the world? I’m still trying to locate the original source for proper credit but in the meantime, for no other reason than this brings my soul joy, I had to share! YES!!! Beyond precious! I LOVE that little girl’s expression!!! This is adorable!! 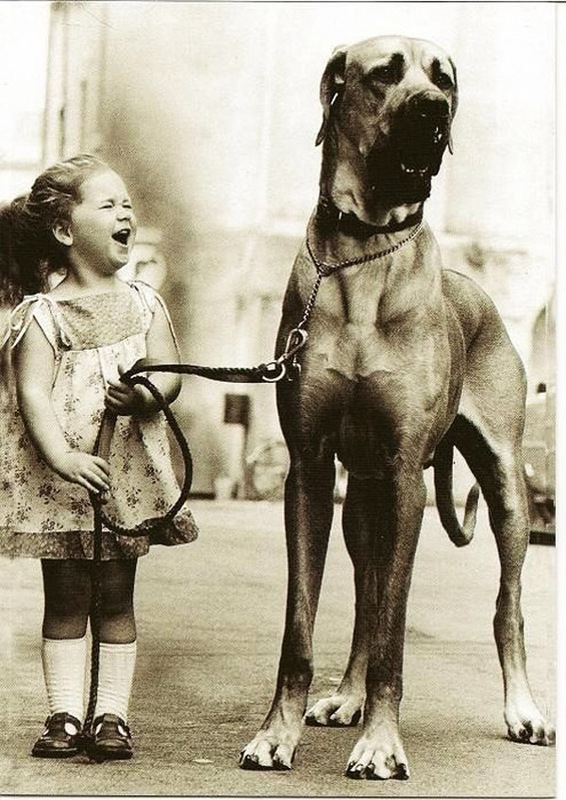 The little girl’s laughter is precious; I think the dog is laughing too! His feet are bigger than hers! Isin’t it great? You can almost hear her the little one laughing! Precious beyond words! This is perfect. <3 love it!